1. 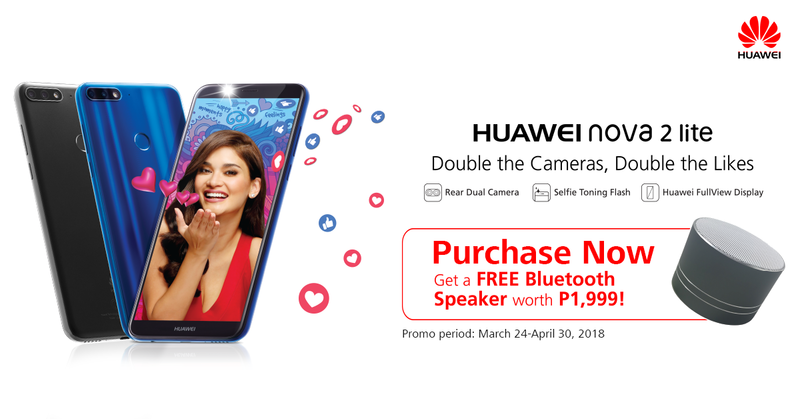 Promo is open to all customers of HUAWEI Device Philippines. 2. Buy a HUAWEI nova 2 lite phone unit and receive a limited edition A2 speaker. 3. Promo is open to the participating HUAWEI Experience Stores and Multi-Brand Stores. 4. Promo period is from March 24, 2018 to April 30 2018 only. 5. Redemption of prize is only upon purchase date of the HUAWEI nova 2 lite unit. 6. Freebie is nonconvertible to cash. Mindanao K-EIGHT TELECOM LAVINA AVE.